The G'Spot cocktail is a lovely way to enjoy G'Vine Gin. This pretty pink cocktail is a whole lot of fun, offering a new way to enjoy a floral gin against the sweet raspberry flavor of Chambord. G'Vine Floraison Gin is produced in the Cognac region of France and it's definitely a different approach to the botanical spirit. Juniper, gin's signature ingredient, takes a back seat to cardamom, ginger, lime, and other botanicals, but it is the infusion of Ugni Blanc grapes that sets it apart. The result is a very floral, much softer gin than unusual and it pairs perfectly with fruits like those found in the G'Spot cocktail. In a mixing glass filled with ice, pour the gin, liqueur, syrup, and juice. G'Vine is so distinct that many drinkers don't find that it's reminiscent of gin at all. Because of that, there's really no good gin substitute on the market for it. Possibly the closest option would be Aviation or Bloom Gin, as both have a softer profile. Fresh lime juice is highly recommended for this cocktail. Many of the bottled options include a sweetener that's unnecessary considering the drink already includes a liqueur and syrup. The average lime yields between 1/2 ounce and 1 ounce of juice, so one fruit is enough for at least a couple of cocktails. You can even simply squeeze the juice from half a lime into the cocktail shaker, no juicer required! Tonic water is a perfect pairing for both G'Vine and Chambord. In fact, the trio is a favorite mix among G'Vine fans. That means you can transform the G'Spot cocktail into a tall mixed drink by straining the cocktail over ice in a tall glass, then topping it with tonic. It makes a great dinner drink. In a similar fashion, give the martini style of drink a little sparkle to boost the flavor. Try a splash of ginger ale or go with sparkling rosé wine. How Strong Is a G'Spot Cocktail? 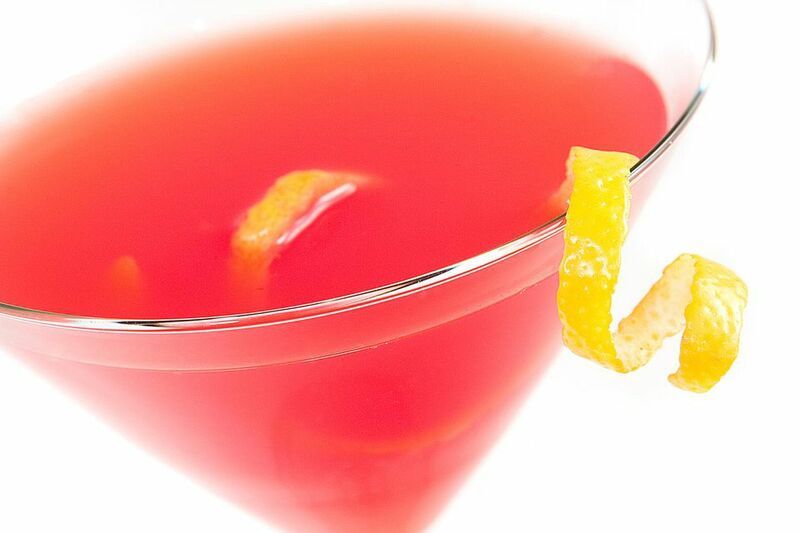 This cocktail shakes up to a petite 3-ounce cocktail, a size more often seen in classic martinis, including modern classics like the cosmo. The reason for such small volumes is because these drinks are pretty strong, a fact their tempting taste and fancy presentation often hides. For the G'Spot, you can expect the alcohol content to fall in the 23 percent ABV (46 proof) range. That means if you were to drink two of these rather quickly it would be equivalent to a shot of vodka.